Vegans, vegetarians, and meat eaters can feel like they’re living in different worlds. Many vegans and vegetarians struggle to feel understood and respected in a meat-eating culture, where some of their most pressing concerns and cherished beliefs are invisible, and where they are often met with defensiveness when they try to talk about the issue. They can become frustrated and struggle to feel connected with meat eaters. And meat eaters can feel disconnected from vegans and vegetarians whose beliefs they don’t fully understand and whose frustration may spill over into their interactions. The good news is that relationship and communication breakdown among vegans, vegetarians, and meat eaters is not inevitable, and it is reversible. With the right tools, healthy connections can be cultivated, repaired, and even strengthened. Dr. Melanie Joy is a Harvard-educated psychologist, celebrated speaker, and author of the award-winning book Why We Love Dogs, Eat Pigs, and Wear Cows, which has been published (or is under contract) in 13 languages. Dr. Joy is the eighth recipient of the Institute of Jainology's Ahimsa Award, which was previously awarded to Nelson Mandela and the Dalai Lama. Her work has been featured by numerous national and international media outlets, including the BBC, ABC Australia, NPR, and the New York Times. Dr. Joy has given her acclaimed carnism presentation on six continents, and the video of her recent TEDx talk on carnismis in the top 1% of the most-viewed TEDx talks of all time. 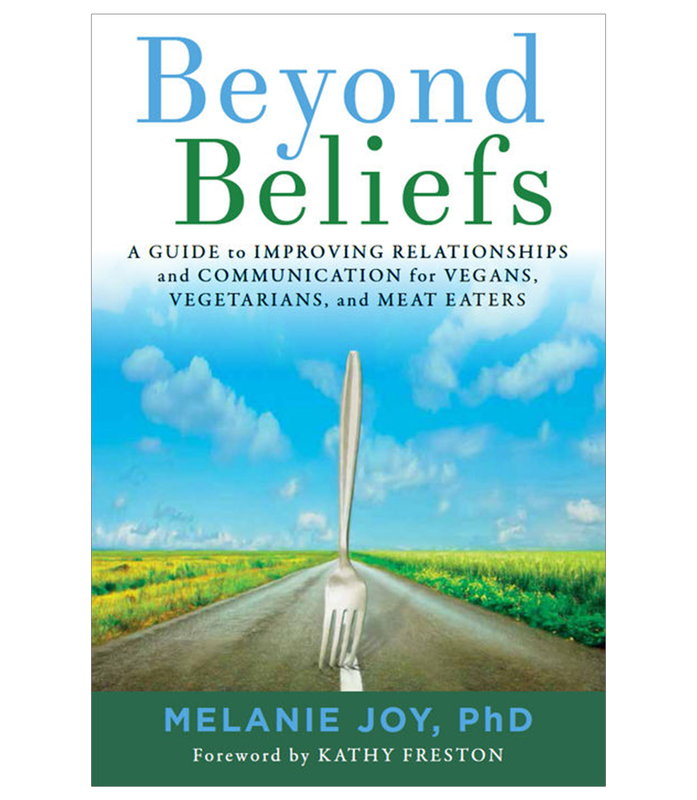 She is also the founder and president of the charitable organization Beyond Carnism and author of the award-winning book Beyond Beliefs: A Guide to Improving Relationships and Communication for Vegans, Vegetarians, and Meat Eaters and Strategic Action for Animals. Dr. Joy is also co-founder of ProVeg International, and the co-director of the Center for Effective Vegan Advocacy (CEVA).